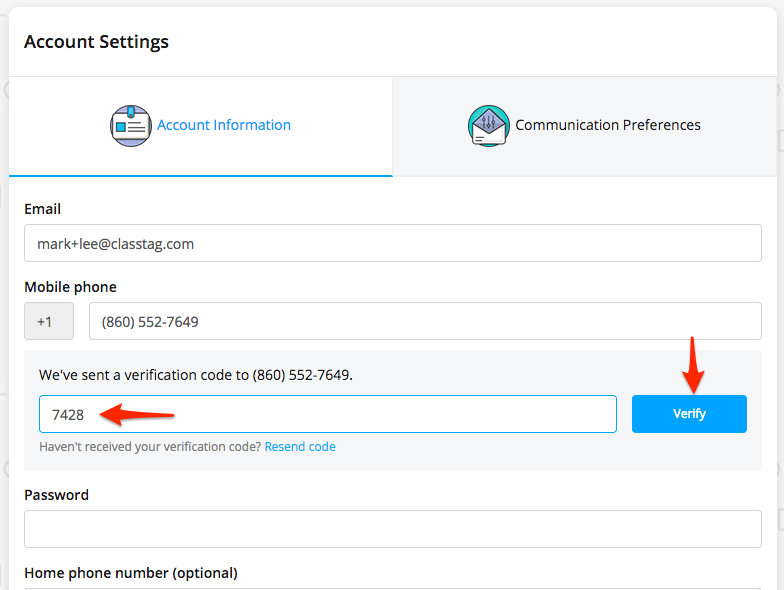 Step-by-step instructions re: how to verify your mobile number for use with ClassTag. 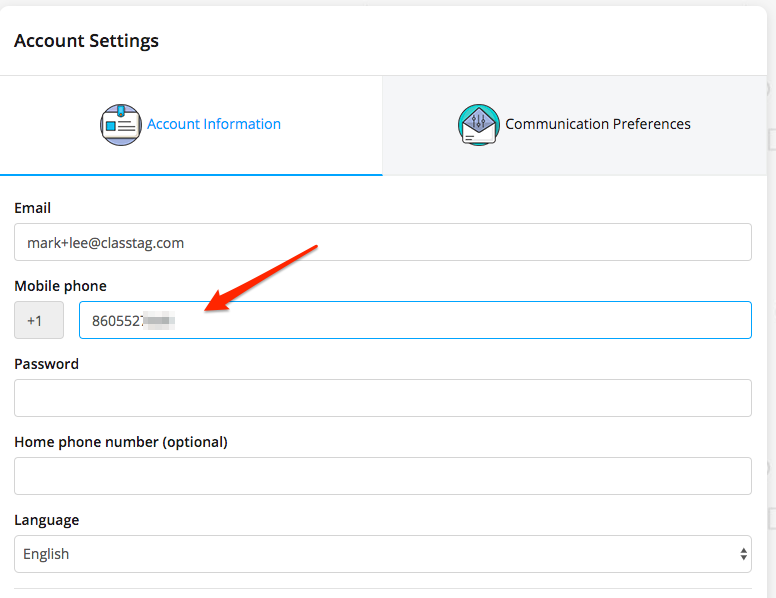 When you receive an SMS invitation to join ClassTag, you can sign up for an account using your mobile number. There’s no need to verify your mobile number anymore. If you’ve created an account using your email address and then added your mobile number, there’s a need for you to verify your mobile number. Please follow these steps. Log in on ClassTag using your email address and password. Click the three lines on the upper left side and then go to “Account Settings”. Go to “Account Information” tab and enter your mobile number. Don’t forget to click the “Save Changes” button on the bottom right. 4. An SMS will be sent with the 4-digit code that you need to use. 5. Enter the 4-digit code and click “Verify”. 6. A confirmation that your mobile number has been successfully verified will be shown on the top of the page. 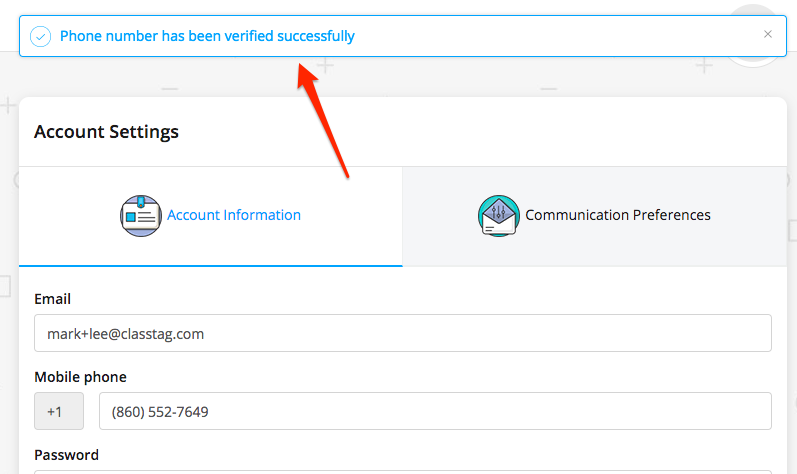 How do I verify my email with ClassTag?